I just love our SOTM (Stamp of the Month) program. Purchase $50.00 in CTMH products from my website and get the SOTM for $5.00 available June 1-30th!!! 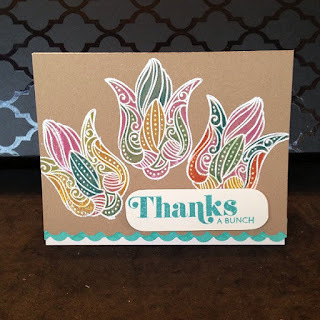 I decided to have some fun with the A Flowering Bunch stamp set since it is spring and flowers are blooming. 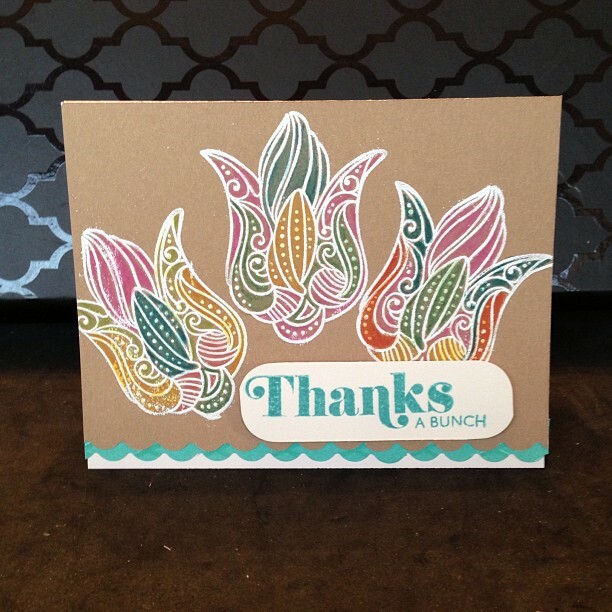 I love following Darlene Designs blog. She teaches some wonderful techniques and this one caught my eye. You can see where my design concept came from by taking a look at her card. I watched her tutorial and said to myself you have all of these CTMH products to make a lovely card so that is what I did. I followed her tutorial and stamped my SOTM image in versamark. I then heat embossed using my craft heater and white embossing powder. I used the CTMH water color pencils to color in the image and went over it with my water brush. I stamped the sentiment and used the corner rounder to round the image. Pop dots were used to add dimension to the sentiment. Easy peasy and a beautiful card was the end result. I used the same technique described above using the SOTM. I used the CTMH chalk marker to draw the stems. The sentiment is from A Little Thanks stamp set. For both cards I used the "Dream Pop" paper (sorry no longer available) to make a decorative trim to color coordinate with the color of the sentiment. Don't miss out on this wonderful stamp of the month. Make your purchase here. 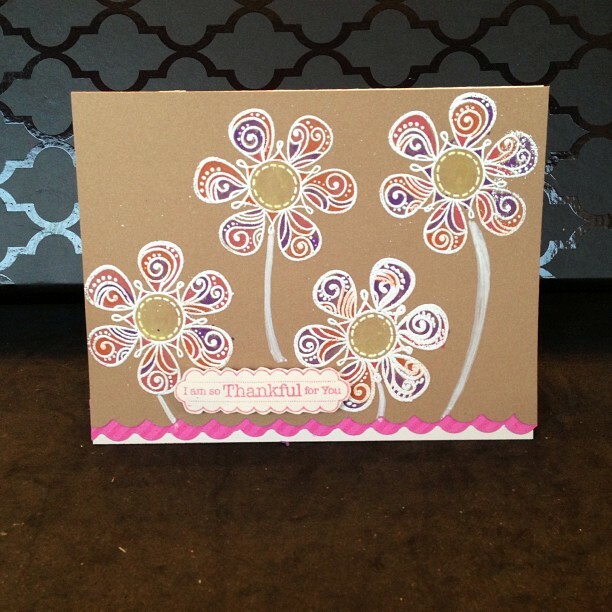 All CTMH products were used to create these cards. Thank you for stopping bye and happy crafting! Thanks for stopping by Darlene...for all my followers Darlene is the teacher of this fun technique :-) Check out her blog! !